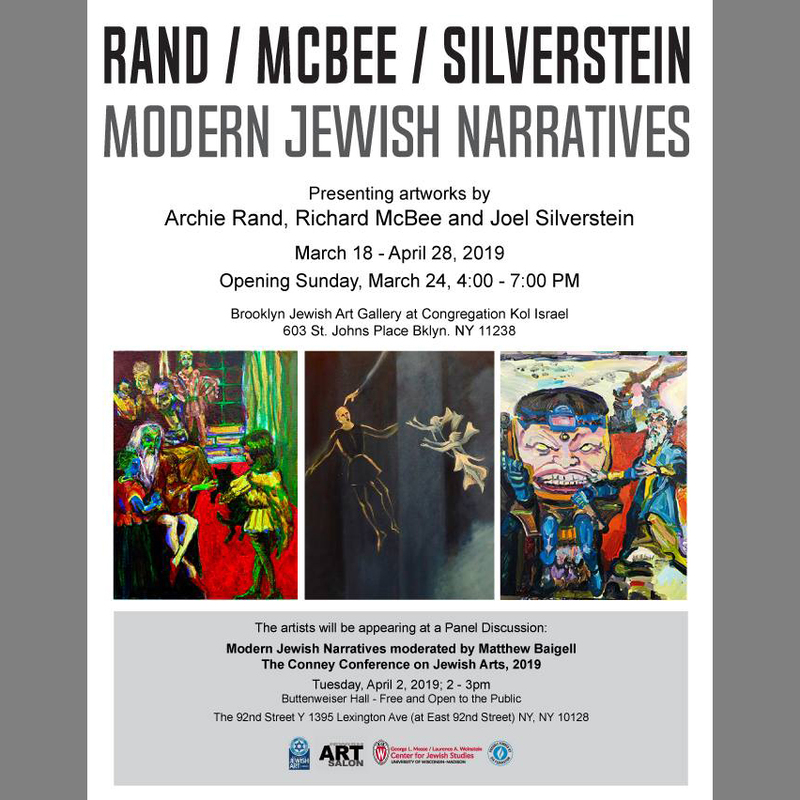 The Jewish Art Salon is proud to co-sponsor this exhibit by long-time members and ardent supporters of the Salon: Archie Rand, Richard McBee and Joel Silverstein. Opening on Sunday, March 24th, 4:00 – 7:00 pm. Brooklyn Jewish Art Gallery, 603 St. Johns Place, Brooklyn. Modern Jewish Narratives panel discussion will be moderated by Matthew Baigell at the Conney Conference on Jewish Arts, April 2nd, at the 92St Y, NYC. So thrilling! So new and unexpected!